Caravanners are very protective of their pride and joy, with many wanting to keep their tourer for their own enjoyment and leisure. Many would certainly not be afraid to hang up a ‘Not for hire’ sign! A huge 78 per cent of voters in our latest community poll said they wouldn’t want to let anyone else use their caravan – not surprising if you’ve saved up your hard earned cash for your tourer and want to get away in it as often as you can. Plus, many caravanners said their ‘van was very personal to them and considered their tourer as their second home. We already know many of you even have a name for your caravan and might not be able to relax if a stranger was staying in it. 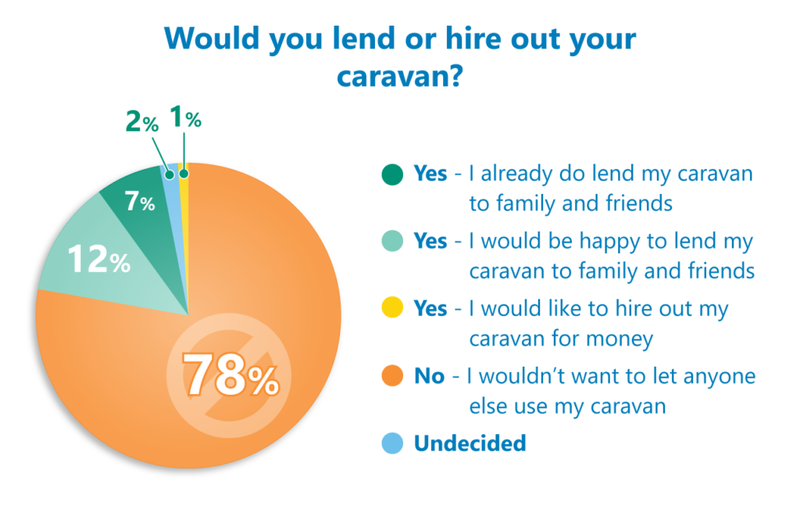 Only one per cent of voters said they would like to hire out their caravan for financial reward – many didn’t for fear of someone else causing damage to their prized leisure vehicle. Twelve per cent of owners said they would be happy to lend out their caravan to family and friends – although only seven per cent already do. “No way” was a common response to our poll question. Bazzer’s caravan is personal to him: “We spend a lot of time money and effort to look after it so I would not lend or hire it to any one else,” he added. What do you make of the results…? Were you surprised at the votes or were you in complete agreement that your caravan is not for hire and is for your enjoyment only. Feel free to add your comments in the box below. I was one that said “No Way” due to previous bad experience. I’m not surprised by the results.